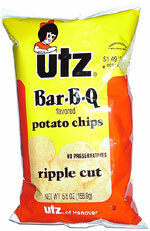 Taste test: Until recently, I didn’t realize that Utz has two entirely different kinds of ripple chips. Well, now I know that they do. There are the "wavy" chips and the "ripple" chips. These are ripple chips. Wavy, with wider ripples, are much better. 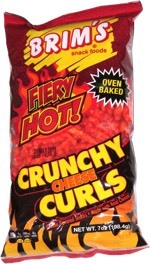 These were OK, but they were quite disappointing because I just recently had some Utz Wavy chips, which were awesome. The flavor is good, but the narrow ripples on these just didn’t compare with the great ripples on Utz Wavy chips.